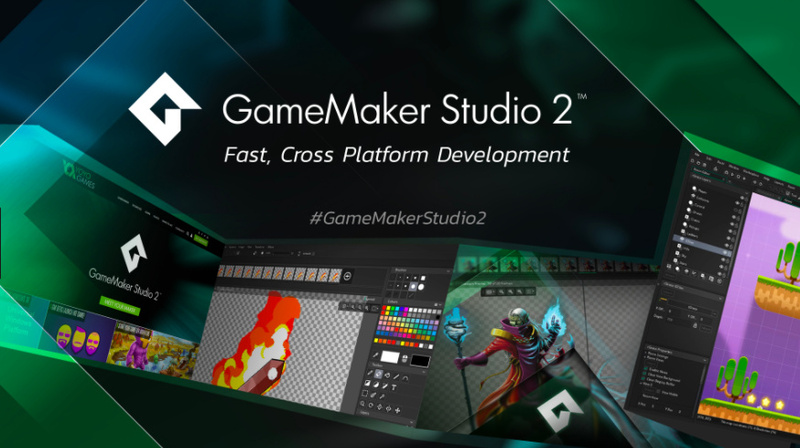 2D game development engine GameMaker Studio 2 is coming to Switch, it has been revealed. 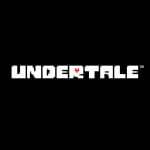 YoYo Games issued a press release with the good news following the announcement that Undertale - which is made using the engine - is coming to Switch. The original GameMaker Studio launched in 1999, and GameMaker Studio 2 - the most recent iteration - launched in March last year. Switch support is coming this summer. We’re thrilled to be entering into a relationship with Nintendo, with the opportunities this will bring to our game development community, and most importantly, the players themselves. Nintendo has been hugely supportive of bringing independent releases to the Nintendo Switch console, and this partnership will mean even more wonderful games are released on the platform. We’re working hard to ensure the Nintendo Switch version of GameMaker Studio 2 retains the already excellent functionality of the engine, and we are committed to supporting developers and studios who are keen to make the jump to Nintendo’s record-breaking console. I’m excited to use GameMaker Studio 2 to put Undertale on Nintendo Switch. I’m a big fan of Nintendo. I hope Mario plays my game. More information about the release date - and a list of supported titles coming to Switch - will be revealed in due course. Let us know which GameMaker-based titles you'd like to see by posting a comment. That's very cool news. I'm a bit tempted to port SwapQuest to the Switch now. But I assume it's still pretty hard to get a devkit. Ah, I thought that must be the case! This could open the floodgates for dozens of wonderful indie games coming to Switch. Thrilling news all round! Is this the toolkit they used to make cr*p games that infested the Switch? Chronicles of Teddy would be amazing. Severely underrated gem. I Metroidvania HIGHLY inspired from Castlevania games. RPG style with backtracking and levelling. I am drawing and coding everything. I am still a noob as this is my first project but I would love to test it on my Switch! I think the barrier to actually be able to use this functionality will be pretty high. When I last talked to the Game Maker developers, they said it will cost several $1000. This will likely keep most smaller projects away from the Switch, but we'll have to see how much it is in the end. Ya, I'd heard last night that Undertale was made using this engine. @Zuljaras Big fan of Metroidvania games and your game looks really promising. Please keep up the great work and would love to see this project completed someday. Using GMS2 myself, but haven't touched it or coding in a while. This might persuade me to get back at it again. @june_l I will finish it I have invested in Spine 2D as well and it is amazing for Bone animations like huge bosses. I am still using GMS1.4 but I port my game from time to time in GMS2 too see if it is fully compatible. For now it is! I have trouble adjusting to the GMS2 layout and new functions but I will manage it! What genre that i can make ? I know it would never happen considering the legal issues, but this would make AM2R possible on the Switch. Nice to think of things that can never be. Interested to see what else can possibly come to the Switch as a result of Game Maker support. Next I wanna see Clickteam Fusion / Chowdren support. @SegaBlueSky If it ran at solid 60 I'd be getting in on Switch rather than Steam for sure. Oh my, Nuclear Throne would be amazing on Switch! Is this the same type of software as RPGMaker FES? This is the only positive we can take from Undertale being on Switch, and the only really exciting news to me. Now if only Nintendo would license me as a developer already. @Blue551 THIS GUY! THIS GUY KNOWS WHAT'S UP! I really love Hyper Light Drifter. @SilverEdge92 It's more like Unity but with a focus on 2D. While RPG Maker is good on it's own i personally think it's very limited if you're not making a classic turn based RPG game. @Nincompoop What's your beef with Gamemaker? Elaborate. I really want to make a game... who wants to help? THAT'S IT. I'm gonna make games for Switch! This is pretty awesome. Gamemaker has been going from strength to strength the last few years and version 2.0 is very cool, offering you the choice of code or no-code! 1. You have to become approved as an official Nintendo developer. This means you have to have a track record and pay a fee. 2. Nintendo has to like your game, or at least think it won't be too awful or embarrassing. Some of the games done for the 3DS using Construct 2 (an engine similar to Gamemaker) were kinda lame but still okay. 3. Your game has to pass through a lot of tests once it is finished to make sure it won't crash. But definitely Gamemaker is a lot easier to work with than Unity or anything in C++. Let a 1000 games bloom! Game Maker not supporting Switch was the only thing keeping me from considering it, so now that it's supported I have to decide between Unity and this... Obviously, my first game is going to be 2D. Any advice on which engine is better? @mystman12 Between those two, I would just go with your gut. They are both capable and you can start cheaply. Make a very small but complete game (preferably teamed up with at least one other person) and, after that, you'll have a much better vantage point from which to make any further engine decisions. You can't really go wrong, because so much of what you'll learn carries from one engine to the next. The hard part is sticking with it through the challenges and completing it. That's why you should start with a very small game — much smaller than the one you are imagining right now — okay, now think smaller. @Anti-Matter Pretty much anything 2d. Its very versatile, for talented users. @Captain_Toad Toolkits like that makes people think they can create games. They create cr*p and sometimes because of social media, these cr*p games became popular... especially if that pewdiepie plays them on his trashy channel. A lot of indie devs are like those people who auditioned for American idol or X-factor, they can't sing but thought they can. This gen, Nintendo wants to populate the eshop with lots of games so no one noticed that there are very few original games for Switch. By lowering their quality standard, every cr*p games are approved. Vroom in the night sky was a launch day indie, it sends a message to all devs: give us your cr*p.
@Nincompoop Ah I see. Something like Jim Sterling reviewing the gluttony of survival horror crafting where you get placed on a random environment and just survive where you maybe or maybe not fight off zombies or other random monsters with (maybe) no ending on steam based on a free engine or hijacked assets. If that's all we there is, there's not too much to worry about. Engines like Unity and Unreal engine 4 has made awesome games like the upcoming Undertale along with the questioning the faith of humanity games that has to be weeded out, expect Gamemaker to be no different. Take it home Jim Sterling! NSFW. @Captain_Toad "Engines like Unity and Unreal engine 4 has made awesome games like the upcoming Undertale..."
Didn't the article above explicitly stated that Undertale was made with GameMaker? @Nincompoop Whoops. I mean, Engines like Unity and Unreal engine 4 has made awesome games along with the questioning the faith of humanity games that has to be weeded out, expect Gamemaker 2 to be no different. @aaronsullivan Ha, yeah that's what I've heard. I actually joined the Meta Game Jam which starts in a week. I'm like, 99% sure I won't finish whatever I decide to make in time, but I'm going to give it a shot regardless. I'm trying to keep it reasonably small... But reasonably small probably isn't enough, is it? As I was told in another comments section, Undertale was actually made in GameMaker Studio 1.4, but the GMS2 can convert games made in previous versions. I used Game Maker 8 back in my days of being Sonic Fan Game Making trash. Still pop it open every now in then to see if i still remember how to use it. My problem was how expensive it got. a Game Maker 8 pro license back in the day was only $20. Now the pro version of studio 2 hyper fighting HD remix is like $50-$100 and isnt even the full version. I really hope this means Indie Pogo will make it to the Switch at some point. @antster1983 yes you can port a game from Studio 1.4 to Studio 2 with minimal issues. Still there are some functions removed or changed between the versions but even then GMS2 makes compatibility scripts that makes your old code (that is obsolete in gma2) to still function. You even get a report what code has changed in your games and where to change it.